If you grew up enjoying the stories of Robin Hood and his band of merry men then you are sure to love Arrow’s Edge’s latest release, Robin in the Woods. 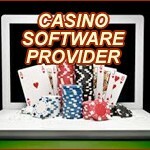 It is a 5-reel slot with 4 rows and 40 fixed paylines. The slot comes packed with bonus features, so you can shoot arrows to break open vaults stuffed with cash, hit the bullseye to turn regular symbols into sticky wilds and seduce the beautiful Maid Marian to enjoy free spins with plenty more bonuses. To top it all off, at any point while playing you could win one of two progressive jackpots. 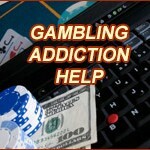 Before spinning the reels you simple need to decide how much to bet per spin and set the level using the controls. Then you just need to click on the large spin button. There is also an Autoplay button that allows you to set up to 50 spins in motion. You will win as long as three or more matching symbols land from left to right along a payline. Further information about the slot’s payouts and special features can be found by clicking on the ‘?’ button. 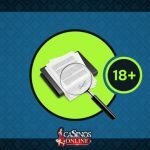 It is possible to bet anything from $0.80 up to $240 per spin on Robin in the Woods so all players can enjoy it regardless of the size of their bankroll. The top payout of 750 coins is won by landing five of the Robin Hood symbols across a payline. The smallest payout of 5 coins is won by landing three spade, club, diamond or heart symbols. 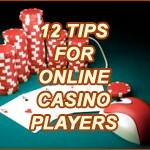 It is also possible to win a huge amount via the slot’s bonus features. Robin in the Woods has four high-value themed symbols: Robin Hood, the Sheriff, a treasure chest and a bag of gold coins. The lower value symbols are the playing card symbols hearts, diamonds, clubs and spades. There is a Wild symbol and it can substitute for all the other symbols except the arrows, the locked vault and the free spins symbol. If you land the locked vault symbol on the third reel with arrow symbols on either side of it, a mini-bonus is triggered. The reels will slide backwards and the bow will shoot an arrow at the lock. This breaks the lock open revealing a cash prize inside. If you land the arrow symbols on reels one and five simultaneously without the locked vault in the middle, the Bullseye Feature begins. The reels slide back and three arrows are shot at the reels. Each symbol that is hit by an arrow becomes a wild symbol that remains in place for three free re-spins. The free spins begin when three of the young lady (most probably Maid Marian) symbols land on the reels. Two hearts will appear and you need to pick one to reveal which free spins game you will play. The Extended Wilds heart awards you 10 free spins during which two or three arrows may be given to you at any time. The arrows are shot at the reels and when they hit a symbol, the symbol’s entire reel becomes wild. If two arrows hit the reel then a 2x multiplier is awarded if the wild contributes to a win. After the arrows are shot the reels are evaluated for wins before the next spin. If you choose the Sticky Wilds heart, you are given 10 free spins during which between two and four arrows can be awarded at any point. They are shot at the reels and any symbols that they hit become sticky wilds for the duration of the spins. In both of the free spins games a golden arrow can appear on the bow. If this happens then the golden arrow is shot at a special target that will award a Mini, Minor or Major cash prize. Robin in the Woods is linked to two progressive jackpots that can be won at random after any spin. The jackpots are the Mystery Jackpot and the Cash Grab Jackpot. The Mystery Jackpot is won as soon as it is worth $10,000 exactly and the Cash Grab Jackpot is normally hit when it is worth anything between $2,000 and $5,000. Robin in the Woods is a great slot that brings its theme to life with atmospheric music and fantastic graphics. The wealth of bonus features means that there is great motivation to keep the reels spinning and when they are triggered, they often prove to be very lucrative. As always, the chance of winning two progressive jackpots just makes things even more exciting. Overall, this is a slot that is definitely worth spending some time with.